Just come back from Skyros (skyros.com) where I was a facilitator at Atsitsa for two weeks. 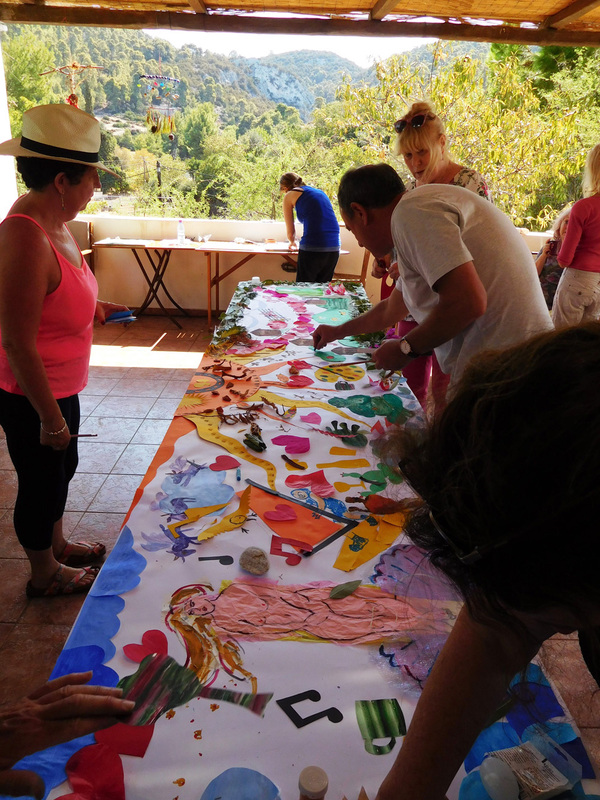 I had really wonderful creative groups of people and they sang along and made fantastic art, great fun! They painted Mandalas about their life, made sculptures and mobiles from found objects and we did a giant collage altogether, topped off with a private view at the end.